Block out your tank, not the sun. 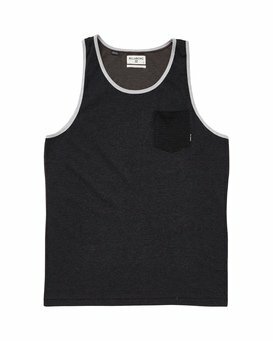 An original, color blocked essential, the Zenith Tank features contrast binding at the neck and arm holes and a contrast pocket at the left chest. Made from a soft cotton blend, the men’s tank top is finished with a small flag label at the chest pocket.